Hailing from Tampa, Varien (Nick Pittsinger) is a name that everyone is starting to know. 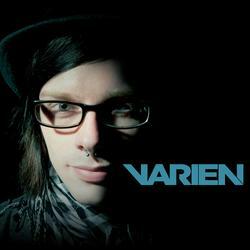 With accomplishments like being featured on Skrillex's "Bangarang EP", hitting the #1 song on Beatport in three days and getting a combined total of 6 million+ YouTube views, it is no wonder Varien is conquering the world of electronic music. His style infuses traditional electronic genres like dubstep, drum n bass and glitch hop with instruments such as electric guitars, sitars and even whole symphonies.